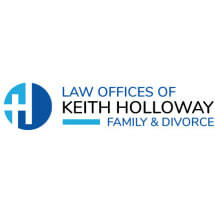 For Texas family law representation from a lawyer with 20 years of legal experience, contact The Law Offices Of Keith E. Holloway. I provide full-service family law representation throughout San Antonio and the surrounding area. Clients have trusted me with their most important legal issues, including divorce, custody and child support, paternity and adoption. You can rely on my experience and my commitment to each client's well-being. My approach to family law begins with the goal of resolving the matter as peacefully as possible. During my career, I have learned that most people are better served by reaching family law agreements out of court. Going to trial creates more stress and further damages strained relationships. It also leaves the final decision to a judge who does not know the parties involved. When spouses and parents can work out settlements through negotiation or mediation, everyone usually benefits. In some cases, however, going to trial is the only solution. If the opposing party will not negotiate reasonably, I can take the case to trial and fight vigorously for my client. I have significant trial experience and practice regularly in court, appearing before judges four to five times every week. My family law practice includes high net worth divorce and complex property division. Whether you are a doctor with a professional practice or a business owner, I can help you protect your interests in a divorce. I work with business appraisers, forensic accountants and other necessary financial experts to value and divide the marital estate. I understand that you have worked hard to accumulate assets, and I will work hard to protect them. To schedule a free consultation with an experienced attorney, please call 210-570-9977. Mr Holloway was extremely helpful with my case. You can always call him. If he doesn't answer he will call you back as soon as possible. He is very friendly and always wiling to go above and beyond to help you. I would recommend him to anyone and would definitely use his services again.